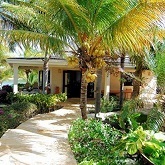 A beautiful three-bedroom villa and a separate cottage on the market at US$4,250,000. An exceptional villa with a self-contained, detached cottage and only steps away from a small tranquil beach is selling at US$3,300,000. 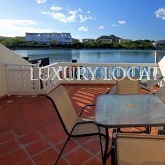 A magnificent abode ideally located within Jolly Harbour with a plethora of amenities at US$1.2 million. 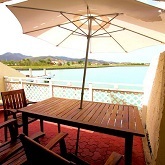 This luxurious villa with exceptional vistas over the bay can be rented from US$3,500 per week. 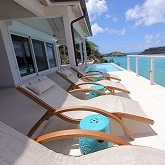 A fantastic waterfront villa within the highly desirable Jolly Harbour Resort is renting from US$6,000 per week. Nested on a 3-acre peninsula in Brown's Bay is this very private property which comprises of three Caribbean-style cottages. POA. Superb sunset views earned this attractively styled two-bedroom property its name. Buy for US$190,000. 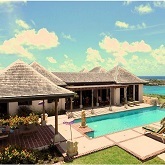 The latest and greatest issue for Antigua property, real estate and lifestyle. 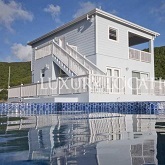 This newly built, luxurious, waterfront villa is located on the North Finger of Jolly Harbour can yours for US$880,000. 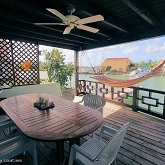 Beautiful waterfront villa located on the North Finger of Jolly Harbour with spectacular views of the marina. Buy for US$195,000. This contemporary Caribbean style villa with jaw dropping views over the turquoise Caribbean Sea is selling for US$800,000. 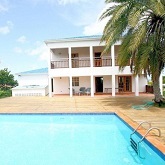 This attractive villa located in Freeman’s Bay with spectacular sea views is renting from US$3,000 per week. Plot of land ideal for commercial and/or residential development is now on the market. POA. 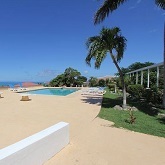 A stunning, modern six-bedroom beachfront property set on 0.7 acres of prime land is now on the market for US$2,995,000. 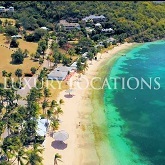 A rare opportunity to purchase property within the exclusive surrounds of Carlisle Bay resort has arisen. 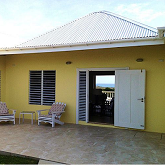 Several one and two-bedroom cottages situated at Freeman's Bay is selling from US$12,000,000. Spacious Caribbean style villa set in its own grounds in the quiet and peaceful setting of Harbour View can be yours for US$370,000. 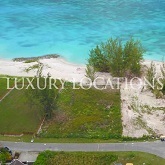 Fabulous beach plot measuring approximately 13,000 sq.ft. 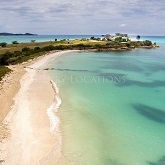 on one of Antigua's prime beaches is for sale at US$1,100,000. Set on 1.5 acres on a har­bour­side promon­tory, St Anne’s Point is built upon a 200-year-old cannon platform. Rates apply from US$28,000 weekly. 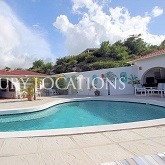 Stunning villa situated in Harbour View, just seconds away from Jolly Harbour and its facilities is renting from US$1,750 weekly. 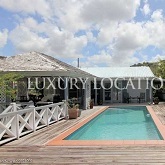 Beautiful three bedroom villa on Harbour Island in the heart of desir­able Jolly Har­bour is selling at US$1,350,000. 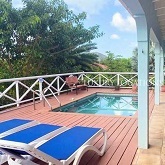 Charming 3-bedroom villa nestled amongst its own lush tropical gardens, and only a 5-minute walk from Jolly Harbour is selling at US$695,000. Approved by the Citizenship by Investment unit and allows buyers to obtain an Antiguan Passport via purchase at US$425,000. 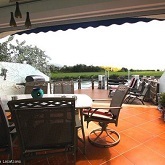 Beautiful villa with partial views of the sea and sunset, and mountain views at the rear of the property is available for long term rental at US$2,000 monthly. 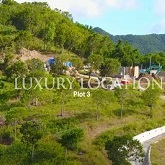 Located at Sugar Ridge, a superb development and resort, this is perfect spot to create your own home away from home for only US$825,000. Nestled below the foothills of Monks Hill with breathtaking views of English Harbour, Falmouth Harbour and the surrounding areas, this beautiful villa is available for sale at US$1,190,000. Boasting a tranquil, elevated location with stunning views over Antigua’s world-famous west coast, this luxurious can be yours at $1,595,000. Beautiful three-bedroom property with separate guest cottage on Cedar Valley Golf Course is available for sale at US$985,000. Issue 13 will be on island on January 1st and they are giving a sneak peak of their front cover. This edition is packed with interesting features. This impeccably styled two-bedroom, 3-bathroom villa offers exceptional waterfront views and an excellent investment opportunity. Selling for US$315,000. 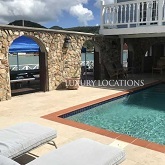 This luxurious, Eco-friendly 3-bedroom villa located in Long Bay with private sundeck, infinity edged pool and gazebo is selling at a reduced price of US$3,300,000. 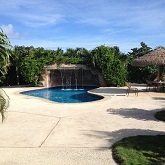 Perfect for the ultimate Caribbean vacation, this villa located in Jolly Harbour is renting from US$7,500.00 weekly. 4-bedroom home featuring glorious sunset vistas over Dickenson Bay & within close proximity to renowned restaurants and night spots. Call for price! 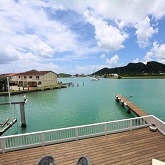 A delightful 2-bedroom villa located directly on the water, within the popular gated community of Jolly Harbour is available for sale at US$300,000. An elegant two bedroom hillside villa with spectacular views of the Caribbean Sea and close to some of the most beautiful beaches is selling at US$595,000. 4-bedroom property with unrivaled elegance and an enviable location overlooking the bay at Galley Bay Heights is selling at US$5,500,000. An exceptional 2-bedroom property located in Nonsuch Bay Resort, with beautiful views of the ocean from all rooms is selling at US$400,000. Six acres of pristine beach & waterfront land on a private peninsula is selling at US$7,500 or purchase individual lots from US$800,000. Luxurious 4-bedroom dream home that was painstakingly designed to complement its jaw-dropping natural surroundings is selling for US$6,500,000. Beautifully presented and fully furnished, 3-bedroom townhouse set within the first class Tamarind Hills development is for sale. Price on request. 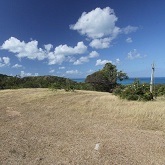 A rare opportunity to purchase land in the highly sought after residential area of Crosbies, on Antigua’s spectacular north coast has arisen. 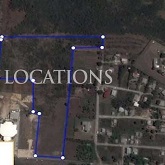 Buy at US$150,000 per plot. 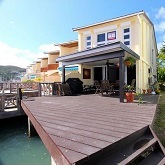 Charming 2-bedroom waterfront villa with all the comforts of a home in the gated community of Jolly Harbour, is selling at a reduced price of US$295,000 from US$375,000. 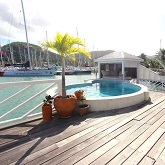 Villa 403F, on the North finger of Jolly Harbour with fabulous views across the marina is selling at a reduced price of US$175,000 from US$210,000. 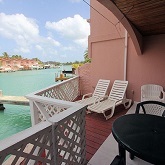 Charming two bedroom waterfront villa situated on the North finger of Jolly Harbour, with fabulous views across the marina is available to rent from US$750 Weekly. 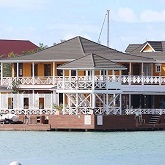 Elegant 3-bedroom villa with high quality decor and spectacular outdoor living space on the exclusive waterfront development of Jolly Harbour is renting from US$3,500 Weekly. 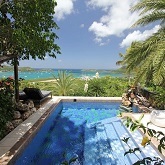 Set in the heart of exclusive Galley Bay Heights, this fabulously styled villa takes luxury living to new heights. 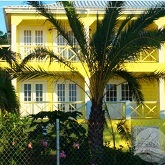 Renting from US$4,500 Weekly. Save 10% by booking now. 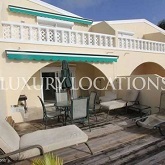 This luxurious 3-bedroom villa in Jolly Harbour is an excellent second home or investment opportunity. Selling at reduced price of US$1,500,000 from US$1,750,000. If outdoor living is an incentive for purchasing a tropical home, this spectacular contemporary property located in Crosbies is the perfect place. Selling at US$3,500,000. A fabulous refurbished villa, transformed into a unique, luxurious home, quite unlike any other that benefits from an end unit location is up for sale at US$325.000. With spectacular styling and jaw dropping views over the famous west coast, No. 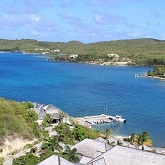 5 residence in Jolly Harbour offers features in abundance. Prices start from US$450,000.00. 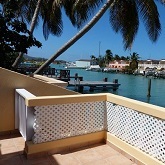 Delightful 2-bedroom waterfront property offering all the comforts of home along with first-rate amenities in the heart of Jolly Harbour is for sale at US$335,000. Stunning 3-bedroom villa set within a desirable gated community in the South Finger of Jolly Harbour is available for sale at US$995,000. 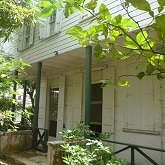 A majestic former colonial style residence, more than a century old and located on Long and Church Sts. 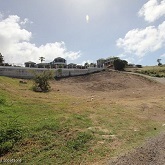 in upper St. John’s, is selling at US$1,200,000. 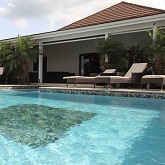 This spectacular 4-bedroom villa located in Fitches Creek, with swimming pool and set in a mature, landscaped tropical garden, can be yours at US$855,000. This luxury oceanfront penthouse set on 9 acres of lush, tropical gardens and white sandy beach is selling at a reduced price of US$2,200,000 from US$3,000,000 for a quick sale. 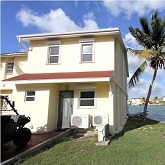 This charming 2-bedroom villa which occupies a prime waterfront spot in the gated community of Jolly Harbour is an excellent investment opportunity. Selling at a reduced price of US$175,000 from US$210,000. 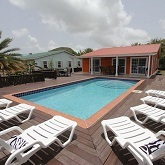 Ideally located in Jolly Harbour, this cosy 2-bedroom, 3-bathroom waterfront villa has an excellent holiday rental history. Now reduced to US$220,000 from US$249,000 for a quick sale. 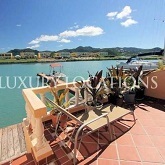 Contemporary Caribbean style and jaw dropping views of the Caribbean Sea are the icing on the cake for this apartment renting at US$1,200 Monthly. Whether for full-time residence or a holiday rental property to generate income, the site offers easy access to abundant amenities. Price on request. 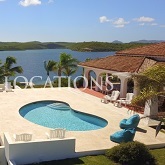 This exceptional 3 1/2-bedroom villa for sale on Antigua’s North coast enjoys a prime elevated position overlooking beautiful Dickenson Bay. Priced at US$695,000. 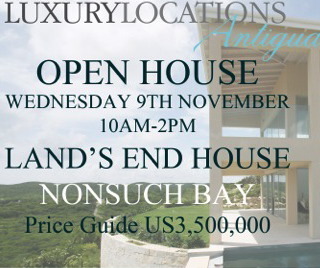 An exciting opportunity to purchase property within one of Antigua’s most acclaimed luxury resorts is available at a sale price of US$625,000. This beautiful property occupies a 0.33-acre site and offers a wealth of fabulous features across its generous 4,000 sq. ft. of build area. 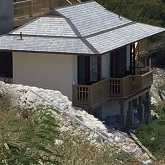 Selling at US$2,950,000. The 10th edition, Christmas season issue is going to print soon. For last minute advertising deals contact the editor. 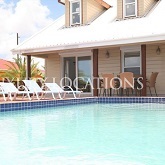 Stylishly furnished, this 4-bedroom detached villa located in Harbour View, a few minutes away from Jolly Harbour is the perfect family retreat. Renting from US$2,000 weekly. 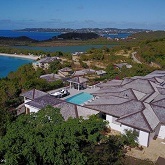 For sale at US$650,000 on Antigua’s famous West Coast, Villa 222A has been completely overhauled, cleverly maximizing space and incorporating a plethora of state-of-the-art appliances to justify the price tag. To celebrate, they will feature some of the exceptional people who have helped put Antigua on the map! Find out how to nominate an unsung hero, or enquire about advertising opportunities. Well-styled, generously priced and just a short walk from acclaimed South Beach, this villa makes an excellent investment as a holiday rental or home. Selling at US$285,000. Boasting panoramic ocean vistas and a short walk to Galley Bay Resort, this 1/4 acre plot is ideal for building a holiday home or full-time residence. For Sale at US$300,000. 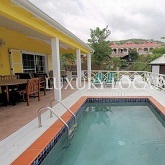 Charming 2-bedroom, 1-bathroom villa located in the gated community of Jolly Harbour is available for sale at reduced price of US$365,000 from US$380,000. 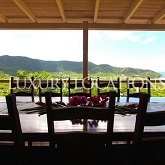 Panoramic views of Antigua give this brand new contemporary villa its edge. Located high above Belmont, there are views of St. John's and Sherkley Mountains. Renting long term at US$3,000 Monthly. Reduced by US$5 million dollars. 100 acres of prime land for sale overlooking and on the waterfront of the magnificent Willoughby Bay. Selling at a reduced price of US$15,000,000 from US$20,000,000. This 5-bedroom villa is a gentle stroll from one of Antigua’s finest white sandy beaches and a short drive from local landmark Devil’s Bridge. For Sale at: US$1,750,0000. 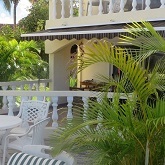 Exceptional two-bedroom property for sale in the Nonsuch Bay Resort at the reduced price of US$495,000. 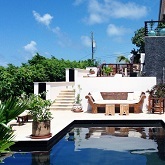 Bay Villa is beautifully furnished and offers ultimate tranquility. New issue of Luxury Locations Magazine is out now featuring some of Antigua’s finest creative talents and colourful photo spreads. 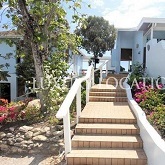 Villa Azure is 3-bedroom lovely holiday villa situated on the Harbour View development, For Sale on half-share basis for just US$175,000. 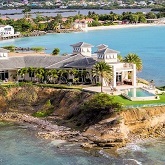 Located minutes away from beautiful Long Bay this villa is the unique and exquisite retreat of unparalleled luxury. Now reduced to Sell at US$3,650,000. 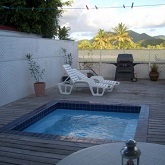 A charming 4-bedroom villa located on Antigua’s West coast and set in the heart of the harbour community has now been reduced for a quick sale at US$395,000. This delightful beachfront property comprises of 16 two bedroom, two bathroom apartments on a white, sandy beach and is available for sale at US$5,570,000. 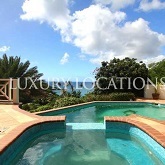 Attractive 6-bedroom, 5-bathroom house situated in a prime position overlooking Dickenson Bay. Selling at US$1,795,000. 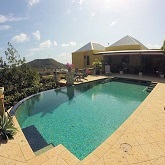 This 4-bathroom, 4-bathroom villa offers panoramic views of St John's, the airport, Parham Harbour and Shekerley Mountains. Selling at US$650,000. 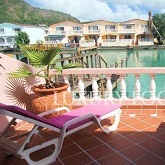 This 2-bedroom villa enjoys a spectacular water’s edge spot in the hub of the popular gated community of Jolly Harbour. Seasonal rates from US$1,250 weekly. 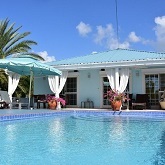 Impressive two-bedroom villa with resort amenities in St. James's Club for sale. Reduced from US$645,000 to US$595,000. 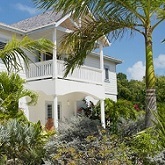 Delightful two-bedroom villa located alongside the golf course in Jolly Harbour. Sale price reduce to US$185,000. 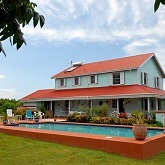 Nestled close to the beautiful beaches of Long Bay and Half Moon Bay is 7-bedroom, 6-bathroom Driftwood House. Selling at US$4,650,000. Perched on the hill within the confines of the Sugar Ridge resort this 4-bedroom, 3-bathroom holiday home is renting at US$4,500 per week. 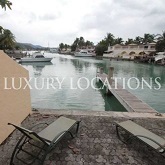 Casa de Piedra enjoys a prime waterfront setting in the desirable gated community of Jolly Harbour. 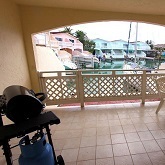 This 3-bedroom 3-bathroom property complete with pool, gazebo and daybed, and an outdoor bar. Selling at UD$1,850,000. Situated close to Blue Waters Hotel, on the north coast of Antigua, sits Villa Ponderosa, a stunning Mediterranean style villa full of character and charm. A fabulous 3-bedroom, 4-bathroom home fully decked out with stylish high end furniture, fittings and appliances. US$2,400 monthly. Fabulous 3-bed home with pool and guest cottage now available for long-term rent in Cedar Valley. 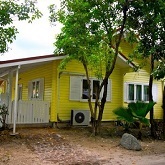 A superb 1-bedroom chalet in the fantastic unspoilt Verandah Resort & Spa for sale with resort shares at 200K. 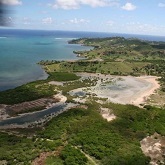 Elevated 30,000 sq ft parcel of land with exceptional views over Antigua’s stunning South coast. 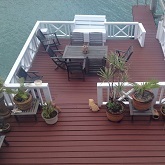 Beautiful fully furnished three bedroom townhouse set on the water's edge within the first class Tamarind Hills development. 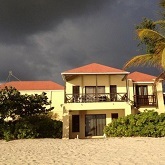 4-bedroom villa on Antigua’s winsome west coast price reduced from 495K to 440K for quick sale. Colonial-style elegance meets first-rate facilities. 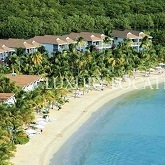 These exclusive one-bed luxury suites set in an award-winning resort start at just US$425,000. This 7-bedroom Boat House ticks most boxes on the ‘dream home checklist’ on positioning alone. 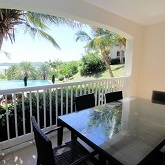 Fantastic 3-bedroom villa set in an unbeatable location overlooking the bay. New year, new holiday home? 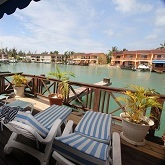 This charming 2-bed waterfront villa comes with an excellent rental history and has been reduced in price to just US$275,000. 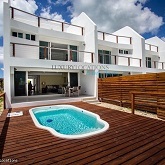 Villa 244A is a stunning, newly renovated Jolly Harbour villa situated in a prime spot on the South Finger. Jolly House boasts a total of 10 bedrooms – all with en-suites – and living space of more than 800sq metres, excluding the property’s expanse of open decking. The massive US$250 million resort and residential project claimed 45th spot in international rankings by Elite Traveler magazine. Spectacular 4-bedroom hillside home located in Galley Bay Heights Development for sale at a reduced price of US$4,200,000. Generously priced 2-bedroom home will appeal to discerning investors and dream home hunters alike. LUXURY LOCATIONS THE MAGAZINE IS FLYING HIGH! 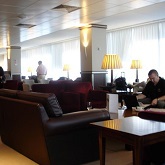 Luxury Location, The Magazine has just doubled its exposure at Gatwick Airport. 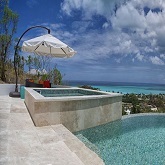 Antigua’s first mega resort featured in the latest edition of Luxury Location Magazine! Developers behind the country’s first mega resort say job fairs to hire hundreds of locals to help build it will be staged within weeks. Struggling to look after your property remotely? 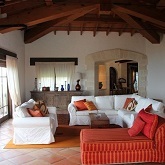 Villa Management cares for all our clients' homes as if they were our own. 'We are here so you don't have to be'. 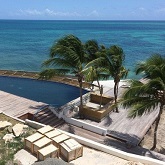 Offering two-bedroom condo units with private infinity pools, sundecks and direct beach access. in the exclusive new Tamarind Hills development, steps away from the beach and with sweeping views of Montserrat and Nevis. 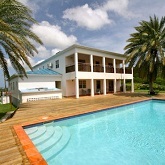 This totally revamped waterfront villa occupies a prime position in the desirable Jolly Harbour community. 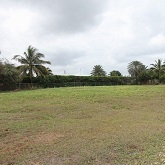 A private and prime piece of development land in the centre of Jolly Harbour Marina on the south west coast of the island. Beautiful three-bedroom property with separate guest cottage on Cedar Valley Golf Course for sale. 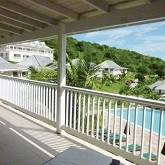 Situated in the newly built gated development of Galley Bay Heights and occupies a prime position. 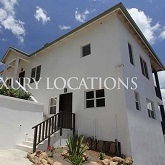 3-bedroom house for sale with a soothing verdant backdrop of Valley Church, magnificent vistas of the glistening Caribbean Sea and the emerald hills beyond. Congratulations to Luxury Location for bagging two awards at the recently concluded OPP Awards for Excellence. GIVE FEEDBACK FOR YOUR CHANCE TO WIN! Luxury Locations The Magazine's latest edition is now out - and we want readers' feedback! Guess the property and win dinner for two at Al Porto! This beautiful three-bedroom villa, within Antigua’s exclusive St. James’s Club Resort, has just been reduced from US$695,000 to US$575,000. The bright, open-plan living area is situated on a mezzanine level above the fully equipped kitchen maximising the scenic views of magnificent Mamora Bay. Sailing enthusiasts will love the fabulous views this delightful studio apartment affords over Falmouth Harbour. Even better, it’s just been reduced! 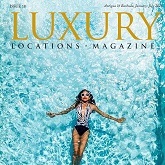 Luxury Locations The Magazine has a new editor who would like to extend a warm greeting to their valued readers. Luxury Locations will once again be exhibiting at the Savills International Property Exhibition in London. It has been an extremely busy six months for us here at Luxury Locations. Following the launch of our second office in English Harbour in December. 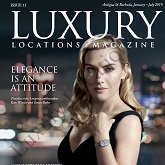 Check out Luxury Location’s Latest Newsletter, which features their magazine, their reception and their new affiliation with Savills International Property Group. 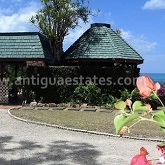 They also feature new listings and properties available for sale around Antigua. 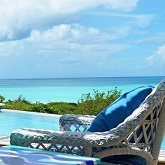 A free boutique lifestyle and property magazine for those living the Antiguan dream. Valley Church Beach is beautiful stretch of beach located on the west coast of Antigua that enjoys stunning sunsets and calm turquoise waters..